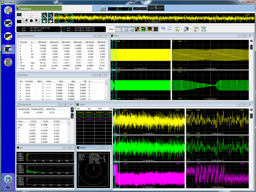 WTViewerE software enables PC connectivity for Yokogawa power analyzers such as the WT3000E, WT1800E , WT500 and WT300E through Ethernet, USB, GPIB or RS232. This connectivity allows users to easily control, monitor, collect, analyze, and save measurements remotely. With the trial version of the software, all functions included in the retail edition of the WTViewerE are available to you for 30 days after installation. Execute Installer.exe to start the installation.